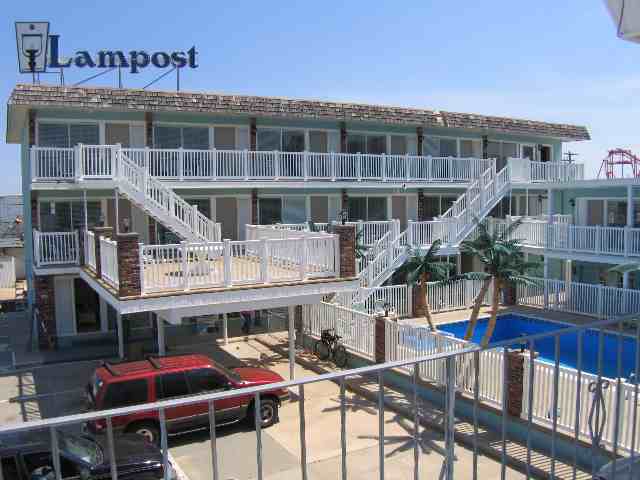 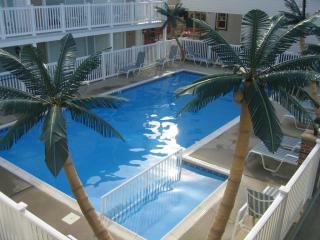 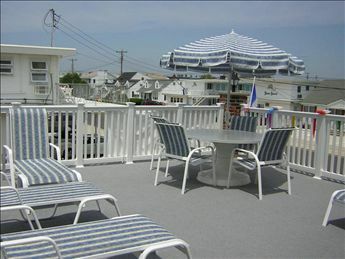 LAMPOST CONDOS AT THE BOARDWALK IN NORTH WILDWOOD - 442 East 21st Avenue Unit 101 - You can t get much closer than this to the beautiful beach and boardwalk of North Wildwood. 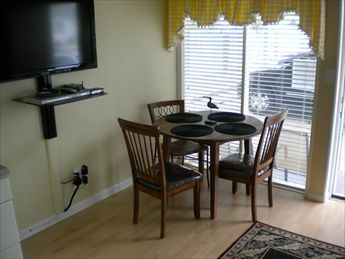 Newly remodeled, new furniture and Pergo hardwood flooring throughout this first floor end unit. 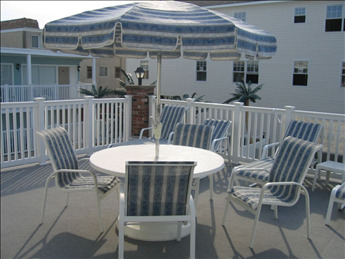 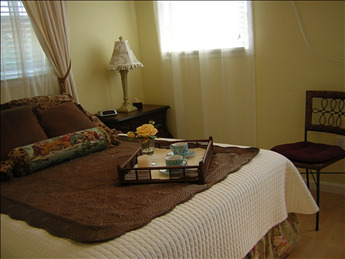 Amenities include pool, outside shower, coin op washer/dryer, wall a/c, wifi internet connection, flat screen TV and DVD for your enjoyment. 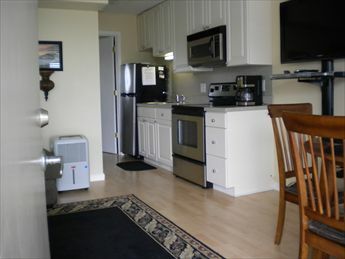 Kitchen has fridge, range, stovetop, microwave, coffeemaker. 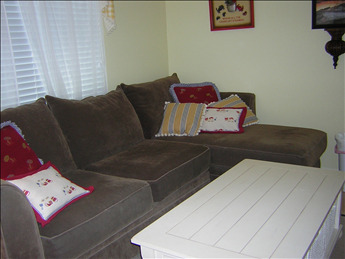 Sleeps 4, queen bed and full sleep sofa.